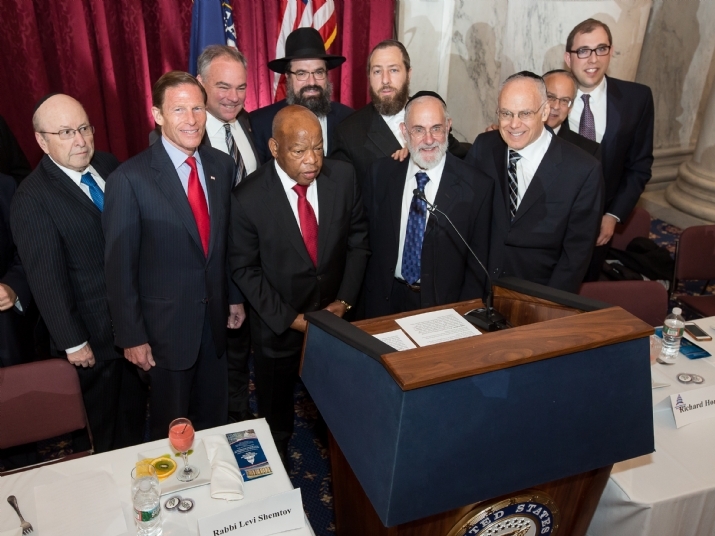 The Kennedy Caucus Room in the Russell Senate Office Building was packed with more than 200 legislators, Jewish leaders and their supporters who participated in a bi-partisan celebration of American Jewish Heritage Month to recognize the many contributions of the Jewish people to the United States. 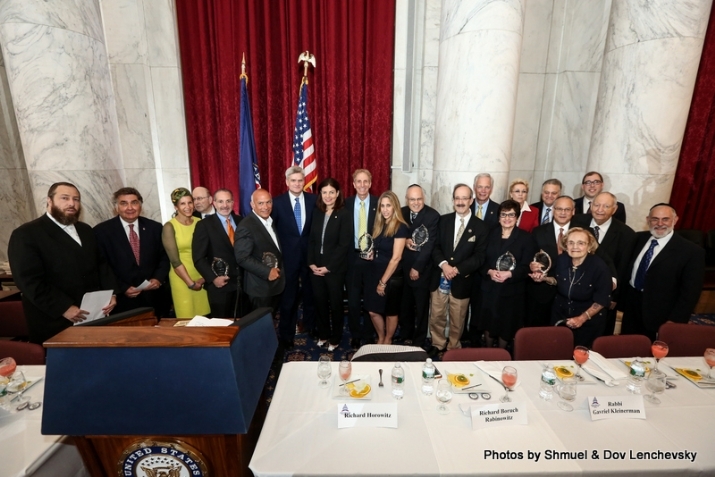 As President Ronald Reagan declared in 1981, when he first established Jewish Heritage week, "American Jews have contributed significantly to the spiritual and cultural elevation of our society since the founding of our Nation. Jewish immigrants and their descendants have brought dignity and distinction to every field of American endeavor. Our Jewish citizens have served America by fighting for her freedom, building her industry, striving for her goals, and nurturing her dreams. 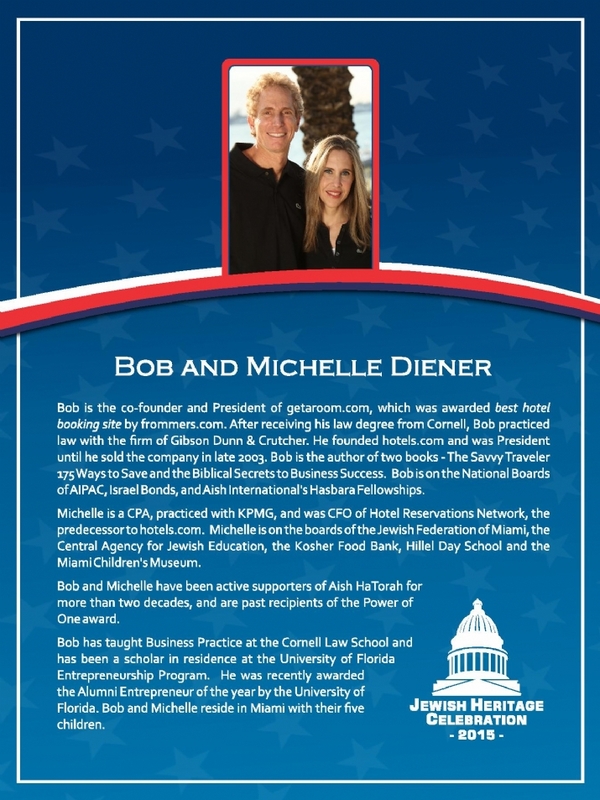 "In 2006, President George W. Bush proclaimed that May as Jewish American Heritage Month an initiative led by Representative Debbie Wasserman-Schultz and the late Senator Arlen Spector. Each subsequent President has continued this tradition. 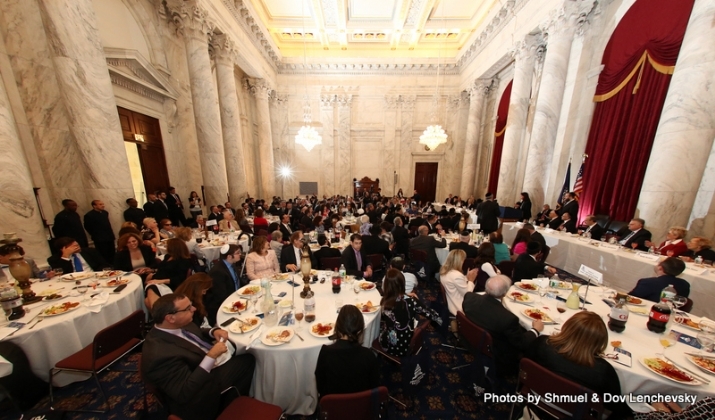 The Friedlander Group and Project Legacy have been sponsoring a special luncheon on Capitol Hill for the last several years. 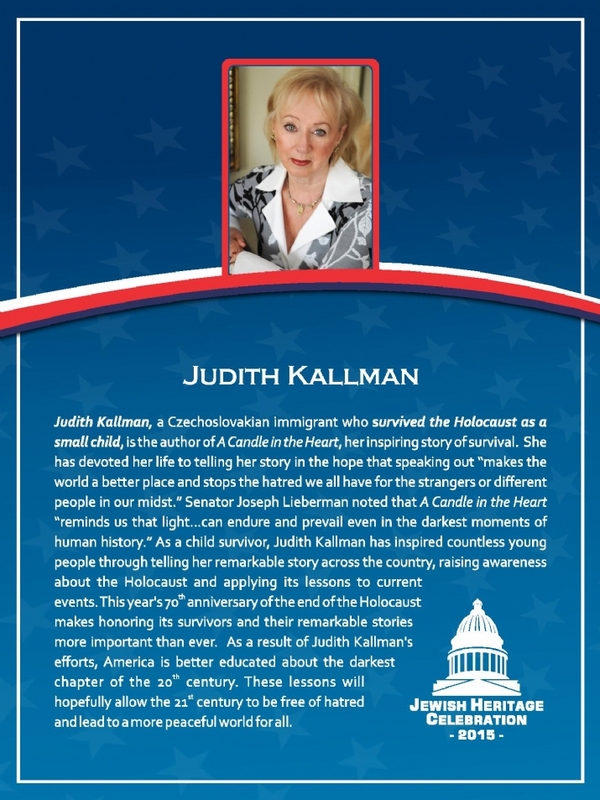 Among those feted this week were Holocaust survivor and author of the acclaimed book, A Candle in the Heart, Judith Kallman of Greenwich, CT, who was lauded for her efforts to convince students to stop the hate by Senator Robert Blumenthal; Chief Rabbi of the Bukharan Jewish community, Itzhak Yehoshua, the President of the Bukharian Rabbinical Council of America, who immigrated to the United States in 1987, and successfully built the American Bukharian community from what was once a small group into a vast community with over 65,000 members; an accomplishment lauded in a Senate Resolution introduced in honor of Jewish Heritage Month. 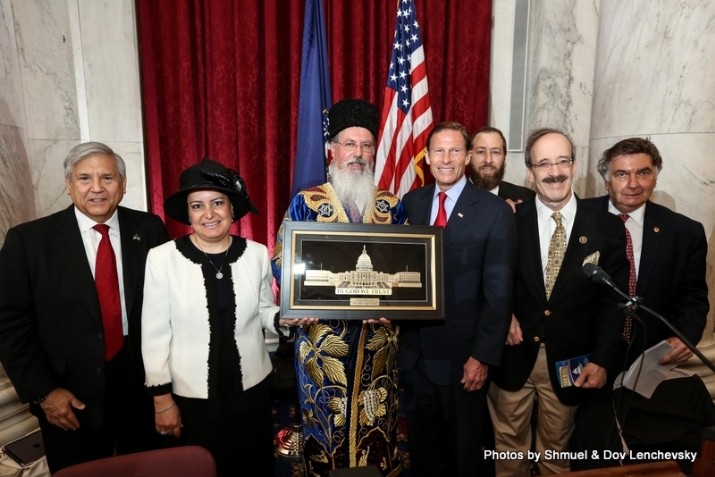 It was pointed put by Senator Blumenthal and others that the "Bukharian community has ancient roots in Central Asia, and after the fall of the Soviet Union, many immigrated to the United States seeking a better life free from oppression. 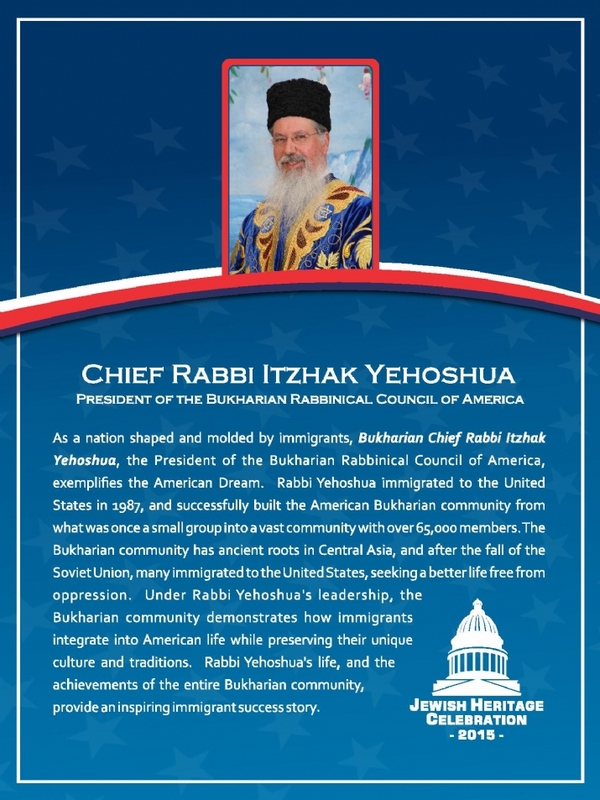 Under Rabbi Yehoshua’s leadership, the Bukharian community demonstrates how immigrants integrate into American life while preserving their unique culture and traditions", and Mark Meyer Appel, founder of The Bridge Multicultural and Advocacy Project, an organization that unites people of every racial, ethnic, cultural and religious background. 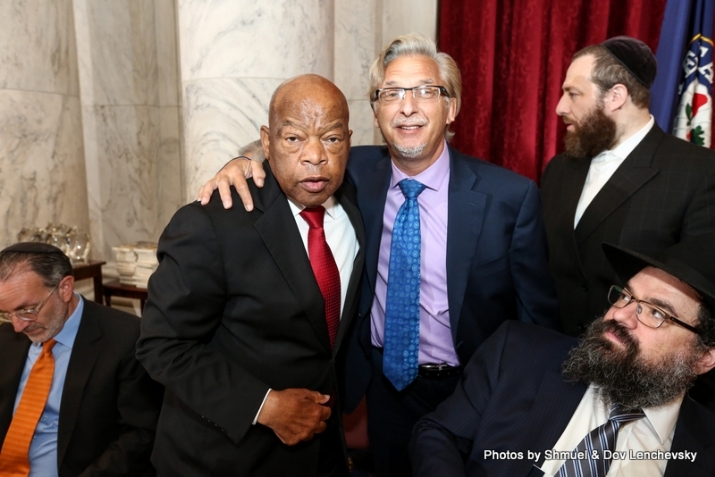 As this year marks the 50th anniversary of the “Bloody Sunday” Selma March across the Edmund Pettus Bridge an event that was a major turning point in the Civil Rights Movement, in which countless Jews were involved. 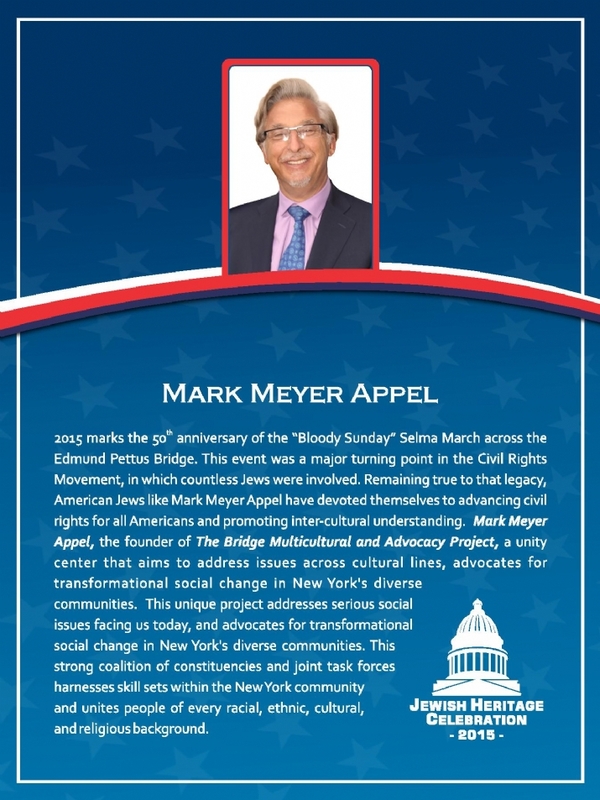 Being true to that legacy, American Jews like Mark Meyer Appel remain devoted to advancing civil rights for all Americans and bridging the divide between different communities. 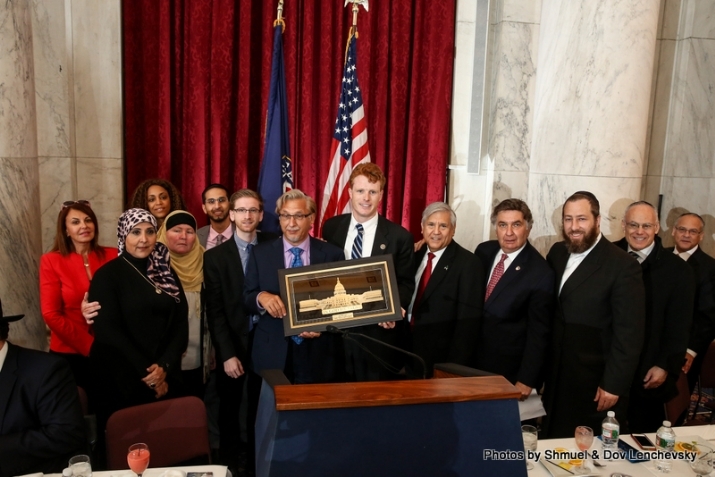 Indeed it Rep. Joseph P. Kennedy III, (D-Mass) who made that presentation and appropriate in light of him being the grandson of Attorney General and Senator Robert F. Kennedy, a major figure in the civil rights movement. 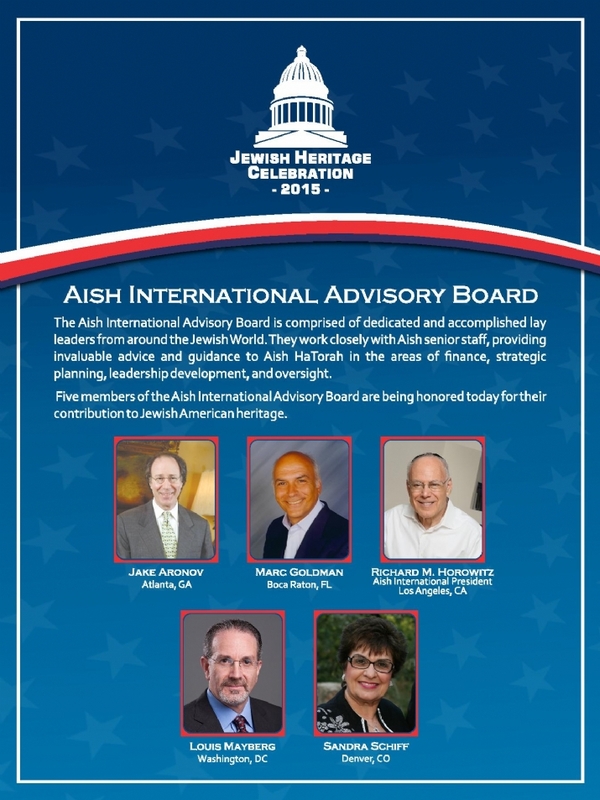 Also honored were AISH International, one of the largest Jewish outreach organization of its kind in the world, which aims to connect Jews to their ancient heritage in a warm, non-judgmental environment. 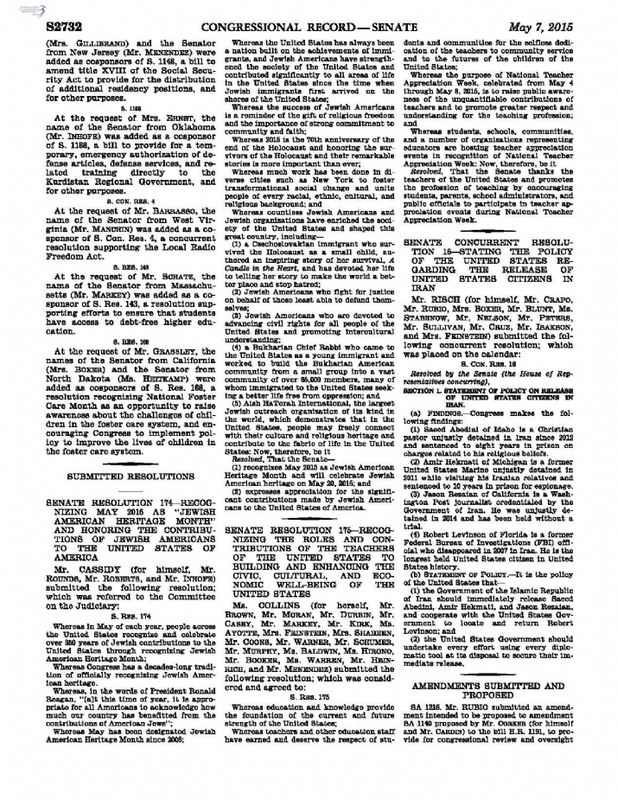 In the words of the Senate Resolution AISH was singled out for praise for reinforcing “that in the United States, people may freely connect with their culture and religious heritage and contribute to the fabric of life in the United States". 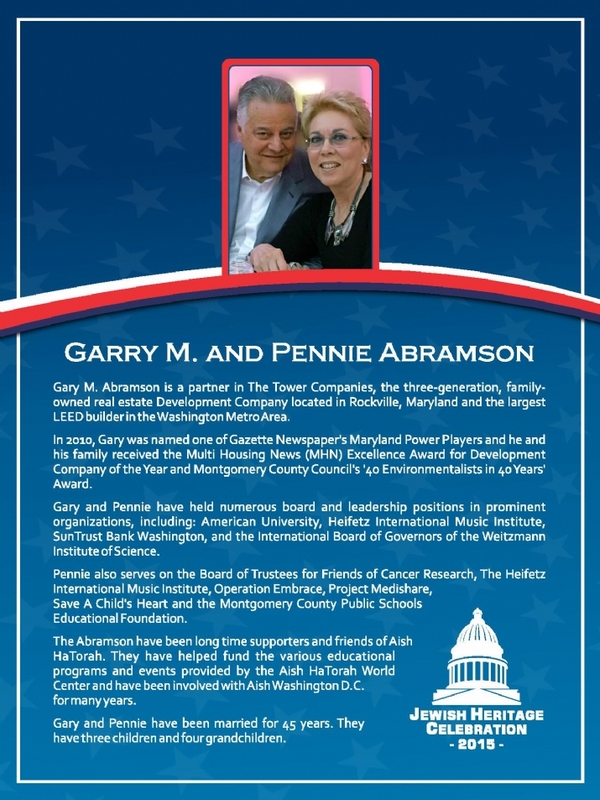 Several of their supporters received special recognition including: Ruth Hyman, Bob and Michelle Diener, Gary M. and Pennie Abramson. 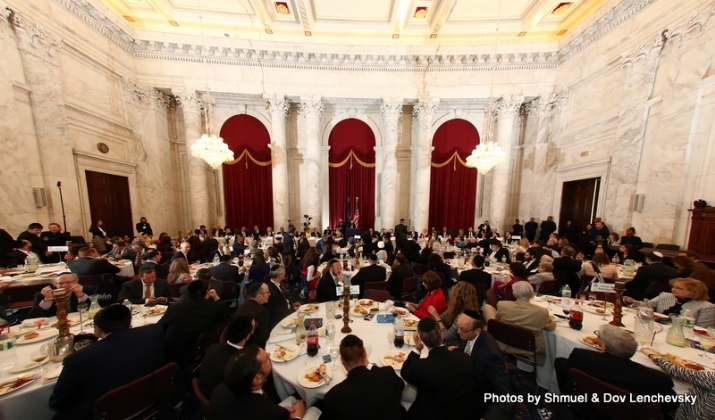 Emceed with a strong dose of humor by Rabbi Joseph Potasnik, executive vice president of the New York Board of Rabbis, and Greg Rosenbaum who chairs the Jewish Heritage Month Celebration the event included a list of impressive speakers from both houses of Congress and both sides of the aisle. The standing ovation of the day was given to Rep. John Lewis, the civil rights hero who came to the microphone and remembered the marches in the south, reciting the words of the Bible and the lyrics of the classic, Let My People Go, he reminded those in the audience of the days when Jews marched with Martin Luther King, Jr. in the fight for human rights, and recalled three young men he knew who did not die in Vietnam, they did not die in the Middle East or in another foreign country fighting for freedom—they were arrested and lynched fighting for freedom in the United States. They were Andrew Goodman, Mickey Schwerner and James Earl Chaney, lynched by the KKK in 1964. Other speakers were Sen. Bill Cassidy, Senator Tim Kaine, Sen. Kelly Ayotte , Sen. Ron Johnson, Rep. Chris Van Hollen, Rep. Elliot Engel, Sen. Ben Sasse, Rep. Ted Deutch; Rep. Lee Zeldin. 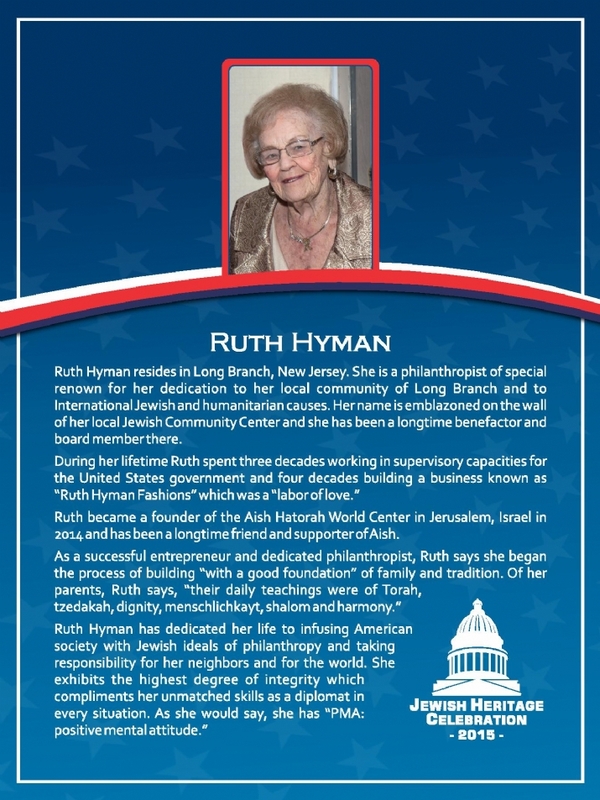 May has been proclaimed by President Obama and the United States Congress, Jewish American Heritage Month. Despite years of oppression and persecution, Jews have always risen up to help bring improvement and progress to society. 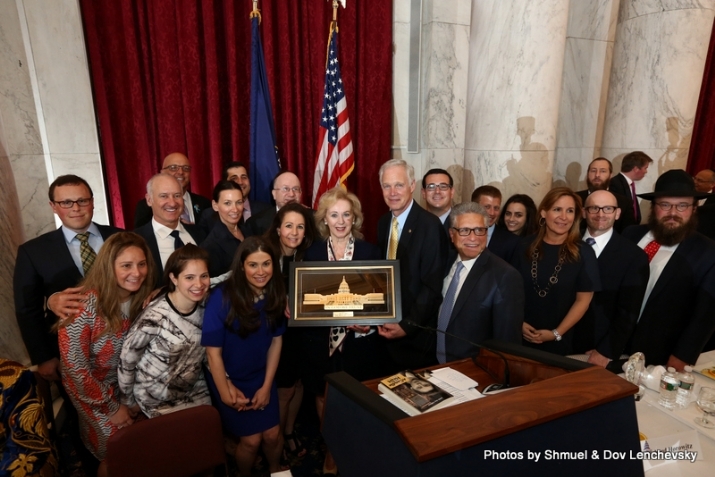 For more than the 350 years, Jews have been making major contributions to the American culture, including arts, science, medicine, sports, business, government and military service. The exclusive Luncheon in the US Capitol will take place in the LBJ Room (S-211) on Wednesday, May 16, 2012, at 1pm.